Papermoon is in the current round of 20Twenty, which is a monthly Mainstore Tour, offering up a new item at 20% off. The item this Peasant Haltertop, which Papermoon named a Corselette, which I thought was endearing. You get a hud with 8 variations to choose from. Adoness is at Flower Power, an event bringing you the newest fashions for the upcoming spring season. The new hair to their hairline is Baldur, which comes with a shaved side with the option of a decorative hair flower and chain. There is a hud, so you can change the texture of the flowers, or the chain metal, to match any outfit. Flower Power Fair ends tomorrow, Feb 26th, so go soon. While there, check out the special pack of Baldur, which is only L$99. Genre is a monthly event, with items ranging from L$100 and below. Each round is themed, and has designers catering to fashion, accessories, body, Home&Garden, Poses and much more. The outfit I am showing you today is super fun, it compliments my darker skin tones well. It comes with everything, Mask, Wings, Footwear, Tattoo and Dress.You can find this at Genre, by Vengeful Threads. The Nails are at Genre too, with a whole hud of other colours. Sense-able Fashions also have a few other huds, with different nail patterns, at the event. My Hair is from Adoness. 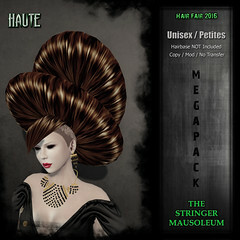 I have been pleasantly surprised over the last year, with the various hair style releases. If you are into a more punky/alternative look, the styles found at this store are for you. 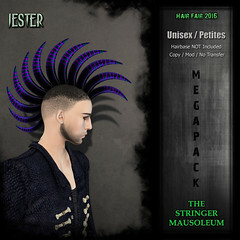 They work with many themes; goth, punk, fantasy, syfy, high fashion, just to name a few. Colours are in ranges to suit any need. I’ve been wanting to open the blog with something spectacular and fantasy oriented, but it just hasn’t worked out that way for me. I really wanted to blog this outfit, and it didn’t fit any of my other places I blog, so here we are. I have a little dress like this irl, though the one I have is cranberry. I was super excited when this one showed up on my sl doorstep. I have been wearing this skin, in the different makeup options, for a few days now. 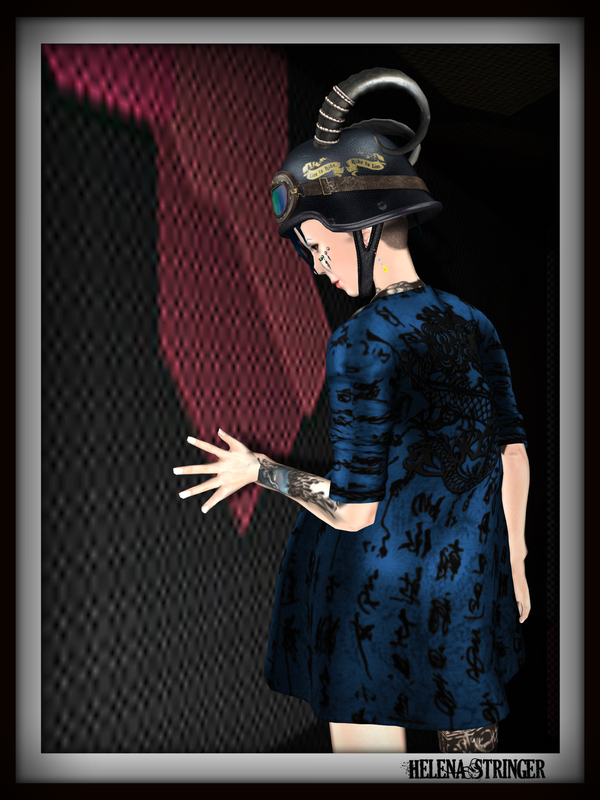 I normally get Dulce Secrets skins for my alt, as it is one of the only place with darker tones(Ladylight is generally dark) that aren’t a mish mashed pixellated mess of stitched together RL photos. I don’t mind realistic skins, but I think sometimes there is a line, and it gets crossed often in our digital world. 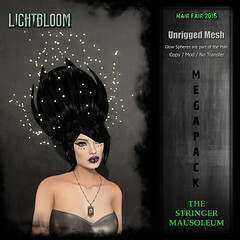 These come with Slink and Omega Appliers. 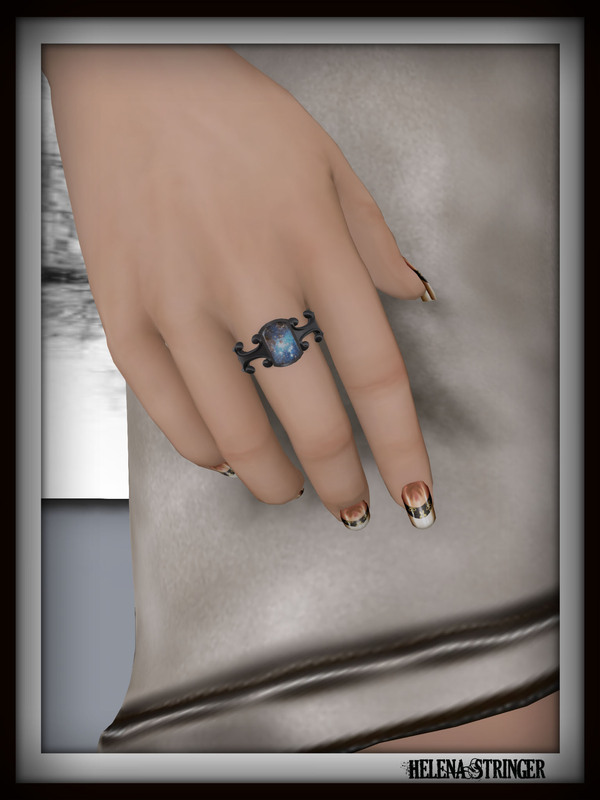 Rings are something I wear often, and I have just started to carry that over into sl, the last few years. This little ring is unisex, and has various colour options for the metals available. Not my normal Demony fair, but I do love me some other fashion from time to time.